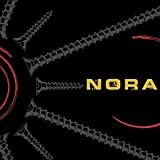 NORA MY BLOODY CLOWNSUIT LYRICS"
I just watched somebody die. I just swallowed another lie. I don't want to see people die. I don't want to swallow another lie. To back up what you've done. The TV screen - you want something from me. The TV screams - you get nothing from me. This is how you can face this when I think that I hate you. Another life, another lie, mass murders of the mind. I don't want to be afraid. Another life, another lie, mass murders of my mind. I don't want to be afraid to go outside. This is why we hide. This is why we die. 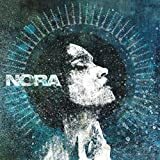 All Nora - My Bloody Clownsuit lyrics are property and © copyright of their respective owners. All My Bloody Clownsuit lyrics provided for educational purposes only.